DUBAI: The second day of the UAE Counter Piracy conference in Dubai witnessed a historic development as the presidents of Somalia and Somaliland agreed to start a dialogue under an agreed framework that is expected to positively affect the fight against maritime piracy. Presidents of the two nations met for the first time during the past 21 years and agreed to continue the dialogue to clarify the relationship between the two sides. Commenting on the development, Silanyo expressed confidence that the co-operation would contribute positively to the fight against maritime piracy as well as terrorism, and will bring peace to the region. - The presidents of Somalia and Somaliland have held their first formal talks since Somaliland broke away more than two decades ago. The meeting, in Dubai, followed talks in Britain where their representatives discussed ways of clarifying their relationship. The two men, Sheikh Sharif Sheikh Ahmed and Ahmed Silanyo, said steps have been taken to continue the dialogue. Mogadishu wants Somaliland to be part of a single Somali state. But the northern territory, which broke away in 1991, wants to be a separate country and is awaiting international recognition. Since declaring independence, Somaliland has enjoyed relative peace in contrast to the rest of Somalia, which has been plagued by conflict. The first formal direct contact in 21 years between the authorities in southern Somalia, formerly governed by Italy, and the Somaliland administration, which used to be a British colony, happened on 21 June near London. - Madaxweynaha Jamhuuriyada diimuqraadiga ah ee dalka Somaliland Md. Axmed Maxamed Maxamuud ''Siilaanyo'' iyo madaxwaynaha DKMG ah ee Soomaaliya Md. Sheekh Shariif Sh. Axmed ayaa goor dhawayd waxa uu kulankoodii ugu horeeyay ku dhexmaray magaalada Dubai ee dalka Emirate-ka. Kulankan oo ay marti-galisay dawlada midawga Emirate-ka Carabta ee Dubaim ayaa waxa uu daba socdaa shirarkii hore ee labada jeer ka dhacay, London iyo Istanbul iyo waliba kulankii todobaadkii hore magaalada London ku dhexmaray ergooyinkii badnaa ee ka kala socday DKMG iyo Somaliland. Ujeedada kulankan ayaa lagu sheegay inay ahayd sidii ay labada dhinac u taageeri lahaayeen hannaanka geedi-socodka wada-hadalada labada dhinac ee bilowday todobaadkii hore. Labada mas’uul waxay ku heshiiyeen inay wada-hadaladu sii socdaan in guddiga labada dhinac loo ogolaado inay sii wadaan wada-hadal si loo cadeeyo xidhiidhka mustaqbal ee labada dhinac dhexmari kara. Idaacada Somali-voa ayaa ka diyaarisay war-bixin ku saabsan arintan iyo waliba waraysiyo kale oo intaa dheer. - After reading Mr. Abukar Arman’s article on “Sustainable Peace: Why Somaliland Matters”, I can’t help but notice a number of rather large inaccuracy and a surprising lack of knowledge on some basic facts. It is particularly disappointing when a representative of the TFG government; someone as eloquent and supposedly well versed on “Somali issues” treats such an important subject i.e. the current relationship and future one between Somalia and Somaliland with obvious inaccuracies peppered with casual and quite superficial observations readily available at coffee shops.. The author wrote that the SNM was secessionist movement; The fact is that the SNM Movement was never a secessionist movement; it was a struggle necessitated by pure survival for an entire people desperate simply to live. Not once did the SNM Movement declare that it is intention was to reclaim sovereignty back for Somaliland, they fought for nothing more than their survival, their dignity, and the need to protect their loved ones. They were made up of ordinary citizens who simply got tired of the daily dose of injustice and brutal treatment administered to them by the regime in Mogadishu. DUBAI // An historic meeting between the presidents of Somalia and Somaliland in Dubai today may be the first step towards ending years of bloodshed there. The meeting, facilitated by the UAE, was the first in 21 years. Sheikh Sharif Sheikh Ahmed, the president of Somalia's transitional federal government, and Ahmed Mohamed Silanyo, the president of the Republic of Somaliland, signed a declaration that paves the way for future talks and cooperation between the nations. - Has Somaliland a legal ground for seeking international recognition?. Yes or No answer to this question depends on the establishment of a number of historical and legal facts. 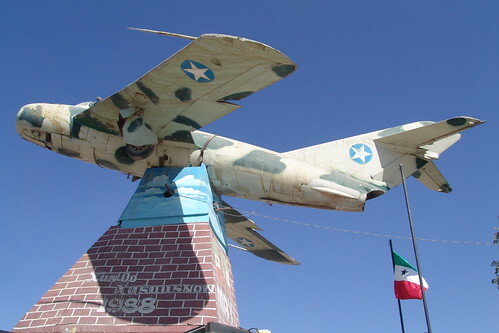 In this discussion, I will base my discourse on Somaliland's legal existence prior to its independence on 26 June 1960, the short-lived Somaliland State (died as 4 days old), the notion of Greater Somalia and the events which precipitated it, the merger of Somaliland and Somalia in 1960 and the legality of the union. I shall weigh Somaliland's claim to Statehood against the requirements for Statehood as stipulated in International laws. A necessary prerequisite is also public support. I will discuss whether popular support for Somaliland's quest for recognition exists in the public. Very little is known about Somaliland's history before the arrival of the European colonial powers in the 19th. century. According to the Encyclopedia Britannica, Somaliland was a powerful Arab Sultanate in the middle ages. These scanty records fall short of elaborating the nature of this so-called Arab Sultanate. Whether the Arabness pertains to Arab rulers or simply an Arabic population is not clear. 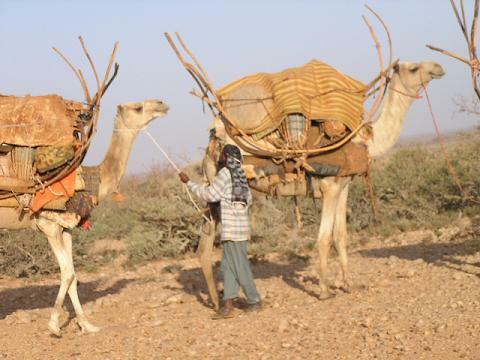 Many of Somaliland's contemporary clans trace their paternal ancestors to Arabs, so the existing oral traditions seem to lend some authenticity to the history in this book and else where. - We live in a dangerous, unpredictable and volatile world. The diplomatic relations between countries cannot always be taken for granted. Due to economic, strategic or security reasons the existing relationships between two countries may change or worsen at any time. Therefore, in this ever-changing geo-political issue as well as global economic and security challenges, to keep pace with the diplomatic relevant matters in the region and beyond, a broad-minded, flexible, well-structured, coherent and solid Foreign Policy with daring and courage ambition is of a paramount importance and vital for a young and yet recognition seeking country, like Somaliland Republic. For nearly two decades, from 1991 until the appointment of the government of President Ahmed Silaanyo, Somaliland Republic has conducted a monotonous, cautious and one-dimensional foreign policy, a sort of a Cage Policy. The primary objectives of this policy laid mainly on digging out and telling to the outside world the historical facts and committed atrocities and all the brutal acts that the population of Somaliland have suffered at the hands of the former regime of Somalia in one hand. - Madaxweynaha jamhuriyada diimuqraadiga ah ee Somaliland Md. Axmed Maxamad Maxamuud ''Siilaanyo'' ayaa maanta u amba-baxaya dalka Iskutagga Imaaraadka Carabta, si uu ula kulmo oo ay u wada hadlaan madaxweynaha maamulka ku meelgaadhka ah ee dalka aan jaarka nahay ee Soomaaliya Md. Shariif Sh Axmed. Dhinaca kale, waxa habeenkii xalay ahaa madaxtooyada dalka Somaliland lagu qabtay, xaflad lagu waynaynayay oo lagu maamuusayey sanadguurada 52aad. ee ka soo wareegtay markii Somaliland ay xornimada ka qaadatay dalka Ingiriiska oo ku beegnayd bishu markay ahayd 26-kii Juun 1860-kii. Intaasi uun ma aha ee waxa jira war kale oo ay idaacada Somali-voa baahisay oo odhanaya sidan; ''Dalka Masarna, waxa ka furmay tababar loo qabanayo saraakiil ka kala socota wasaaradaha arrimaha dibadda ee Somalia iyo Somaliland, iyaga oo halkaas lagu bari doono dhinacyada xiriirka caalamiga ah, borotokoolka, iyo qeybo kale. - With the Muslim Brotherhood's Mohamed Morsi set to assume charge as Egypt's first elected President, even as the army has introduced laws that severely restrict the powers of the Presidency, a milestone in the history of the nations of West Asia and North Africa has been reached. The Arab Spring, which saw the toppling of some authoritarian regimes in the region, is still a work-in-progress. Some regimes like Syria are resisting change. Elsewhere, as in Egypt, the old guard seeks to maintain a grip behind the scenes. But a key facet of change here is political Islam emerging into the open, democratically. This has great import for the entire world. Note that the Arab Springis the biggest defeat for organisations like Al Qaeda. This ideological defeat refutes the notion that real change in this region can only come about through organised violence. Remember: one of Al Qaeda's primary aims has been to force regime change in Arab lands. Second, the issue is what form this political Islam will take - given that parties emerging from this background have gained in places like Tunisia and Egypt. To understand that, one must examine the phenomenon of political Islam itself. - Gorogor iyo dawaco ayaa muddo dheer jaar wanaagsan oo geed ku wada nool ahaa. Gorgorku wuxu ku noolaa geedka guudkiisa oo uu buul ka samaystay. Dawacaduna hoostiisa ayay god ka samaysatay. Labaduba dhal bay haysteen oo geedka ku korinayeen. Gorgorkii ayaa maalin dhashiisii u ugaadhsi tegay. In badan haddii uu maqnaa oo uu cuno heliba ah oo dhashii u geeyo raadiyay ayuu ku hungoobay. Marka uu isaga oo faro madhan ku soo dhowaaday geedkii dhashu u taalay, ayaa waxa ku soo dhacday in uu dawacada ilmaheedii mid la duulo oo dhashiisa gaajoonaysa u geeyo. - In the Morning when I wake up with a broken heart desperate for help. Trying to stand up with my tiny feeble legs. Dragging my feet like a lame deer. My knees and elbows are aching due to Arthritis. So that I could barely pick up my feet when walking. The icy tingling in my fingers and toes are very irritating. Finally pushing hard myself towards my cracking mirror which is as old as my wisdom tooth. Where I could see my aging face folded with wrinkles and deep scars. A V Shaped bald surrounded by African stiff hair standing like nails. A bushy grey beard and moustache that is unfamiliar to a comb for months. Depressed eyes located in deep sockets encircled by dark skin layers which is a sign of stress and depression. Two spongy smashed cheeks decorated with stained teeth that cant chew more than corn flakes. A harsh voice passing through my dry dusty lips. Coughing and sneezing at intervals. Starring back at my deep sunk wooden bed that is covered with a dirty bedsheet and a ragged blanket full of dust. Glancing at my smoky roof dripping drops of dirty rain water. Above that. I noticed that I am dropping things like keys and coins. Pens flew from my fingers due to parkinsons disease. Plus the growing anger as a result of the political hiccups of the contradicting dim views of Mr.Silanyo. Sometimes I almost to faint for hearing too much disturbing voices, whenever Mr.Silanyo opens his mouth, or shakes a leg. - Taliyaha Ciidanka Booliska Somaliland Gen. Cabdilaahi Fadal Iimaan oo maanta shir jaraa’id ku qabtay xafiiskiisa ayaa sheegay in ciidanka Police-ka Somaliland uu gacanta ku dhigay cidii geysatay falkii isku dayga dil-kaa ahaa ee dhaawaca halista ahi uu 11/06/2012-ka ka soo gaadhay gudoomiyihii maxkamada g/Hargeysa Md. C/Rashiid Maxamed Maxamuud (Duraan). Isaga oo taliyuhu ka hadlaya sidii ay taasi ugu suurta gashay ciidamada Poilce-ka Somalilandna waxa uu yidhi; “Waxa aan maanta halkan idiinku sheegayaa in aanu arrin qaranka iyo bulshadda Somaliland-ba ay sugayeen ay si guul ah noogu soo dhammaatay, taasi oo ahayd inaan gacanta ku soo dhiga cidii falka isku dayga dilka ahayd ku dhaawacday gudoomiyihii maxkamadda g/Hargaysa Md. C/Rashiid Maxamed Maxamuud (Duraan) 11-kii bishan haatan aan ku jirno''!. - Despite the jubilant mood of the Somaliland delegation in London and the congratulatory message from Hon. William Hague, UK foreign and commonwealth secretary, the Chevening house achievements of the Somaliland-Somalia dialogue were much below the expectations of most ordinary Somalilanders. Subsequent to that dialogue, Somaliland citizens were waiting to minimally witness the sovereignty of Somaliland unambiguously put into the agenda of the forthcoming talks with Somalia. To the dismay of Somalilanders, the outcome of the dialogue was limited to few points of concurrence and there was no mention of specific agenda points for future discussions. Additionally, the Somalia people misunderstood Somaliland’s acceptance of the Somaliland-Somalia dialogue and wrongfully misinterpreted it as a softening of the Somaliland government’s stance on its sovereignty issue. For instance, Mr. Abdiweli Gaas, the TFG Prime Minister spared no time to distort Somaliland’s position in the Chevening dialogue to his malicious desires and said: “We are happy to see Somaliland realizing that Somali unity is the only way foreword”. The TFG prime minister and his colleagues in his tribal Majeertenia enclave need to learn to set their priorities right. They need to work hard for the peace and unity of their own war-torn and politically fragmented Somalia and must not boorishly interferes with the policies and aspirations of the peaceful and democratic neighbouring Republic of Somaliland. 'The Somaliland Protectorate was of course governed directly by the Queen’s representative, the Governor, who exercised all legislative and executive powers''. - In 1946, an Advisory Council was established. This consisted of 48 selected members representing all the districts and the sections of the community. It had no executive or legislative power and only met usually once a year. The Council’s main purpose was “to stimulate the interest of the people themselves in the administration of the country and the in the collection and expenditure of public funds” (Touval, S Somali Nationalism, Harvard University Press, 1963, at page 107). Selection to the Council took the form of nominations made at clan meetings, with the District Commissioner aiming to “ensure that a reasonably representative body of delegates is sent from each District” (Lewis, IM The Modern History of Somaliland Weidenfeld and Nicolson, 1965 at page 279). The Somaliland (Constitution) Order in Council 1955 was made on 10 February 1955, but did not come into force until 1957, when the first Legislative Council was set up for the first time. The Council consisted of 15 members, and was presided by the Governor. The rest of the members consisted of the three ex officio members (the Chief Secretary, the Attorney General and the Financial secretary), five official members who were heads of the Government Departments and six unofficial members nominated by the Governor. Nominations for the latter six seats were sought in the Advisory Council, but no agreement was reached on the nominations. - Hundreds of the US military troops have been deployed in Somalia for secret operations in the capital Mogadishu, Press TV reports. At least 390 American troops have been training local soldiers secretly in Somali training bases over the past two months, Somali military sources said on Sunday. Somali military officer Abdiwahab Mohamed Ali told Press TV that at least 390 American forces, including 38 officers have secretly reached the Mogadishu international airport. The American troops have also set up secret jails in the country and inject dangerous drugs to Somali soldiers, according to sources. The report came following two Friday US assassination drone attacks on al-Shabab fighters’ Harweyne training base in Elasha Biyaha on the outskirts of the capital, which claimed the lives of at least 39 people. - IOM is a leading International organization working with migrants and governments to provide humane responses to migration challenges. It was established in Oslo in 2002 with a mission to worked with it’s partners, both governmental and non-governmental organizations, in implementing programmes to fulfill its mandate. In the beginning of May 2012 the International Organization for Migration (IOM) started to offer Somaliland citizens assistance to return to their country and reintegrate in the Somaliland community. Through the Voluntary Assisted Return Programme (VARP), IOM assists asylum seekers with or without a residence permit and other irregular migrants in Norway who wish to return to their home countries voluntarily. The Programme provides a return option, which is safely organized and dignified. Persons to be assisted must have a background in Somaliland. This means that individuals will not be granted participation in the program if they are from Puntland or southern and central Somalia. International Organization for Migration (IOM) in Oslo will individually give persons information and advice, help to obtain travel documents, tickets and transit visas as well as help in organizing the trip and assistance in transit. Somaliland citizens living in Norway without documents or if asylum application for stay in Norway has been rejected and wish to return home are required to register and apply. All the services provided are free of charge for all applicants. But my recent trip to Somaliland made me think of home in a different way. As a self-proclaimed “global nomad,” I like to say that I can be at home anywhere, but honestly that’s not true. I can survive anywhere for a period of time, but changing beds every two nights for three weeks is not enjoyable, and coming home to an empty room is lonely. (Queue the Bublé…). SOOMAALIYAAY Halkaad Xijiraha Ku Bururisay Xab Ku Bururi Oo Ictiraaf Somaliland Hada! : Waano! - Aan horta halkan judhadaba u hibeeyo hanbalyo guud gudida labada dal ee Jamhuuriyadaha Somaliland iyo Soomaaliya ee ku guulaystay, inay qodobo hor-dhac ah isla qaataan oo ay ka soo saaraan kulankoodii qaayaha lahaa ee shalay la soo gabogabeeyay, oo aan filayno inay arintani noqon doonto aayaha dhaw suduudii loo marayay Seer-ma-waydo-da (Ictiraaf) geediga loo raray ! Si gaar ahna aan u bogaadiyo mudanayaasha shanta ah ee u saftay qaranka Somaliland ''What a Performance!. Intaas ka dib, sida sooyaalka guunka ah ee dadka af-soomaaliga ku hadla ee ku kala filiqsan geeska Africa ku muujisan, colaada iyo dirirtu waa qayb ka mid ah nolol-maalmeedkeena, oo aan marnaba inaga dhixin, hadana sidaasi oo ay tahay, riiq dheeraata ma ay reebi jirin godobteeda iyo naceeduba oo rag uun baa u guntan jiray oo xalin jiray. Si bogsiimo loogu helo boogaha iyo qoomamka ku samaysma wada-noolaanshaha iyo xidhiidhka bulshooyinka dekanooyinku kala gaadhay ee dhagaraha iyo dhiigu dhexdooda jiifo, waxa ay odayaashii wax-garadka ahaa ee faraadinka ku ahaa nabadayntu ay u gali jireen arimaha mid kastaaba sida ay u taal, iyaga oo nabar kastana u dhayi jiray si isaga u gooni ah! Waxa ugu culus ee dadka soo kala dhex-gali jiray waxa uu ahaa madax-dad (qof-la-dilo) oo la uus-aaso! Uus-aasku waa ka duwan yahay dhagarta caadiga ah. Oo waa qof magan ah, ama socota aan godob galin ah iwm oo lagu dhagaroobo, isla mar ahaantaa la qariyo maydkiisa, waana halka uu magacu ka soo jeedo (UUS-AAS)! - Shimbiro ayaa dharaar waagii markuu beriyay, foof tegay. Waxay ku soo bexeen beer, midhihii markii ay bislaadeen ka dib, la gooyay oo aan cid dhex joogin. Halkii ayey ku soo degeen iyagoo filaya inay ka helaan qadhaab badan oo dhulka ku dhacay. Mid walba waxay ka heshaba afkii ayey dhulka la galeen. Shimbirba wuxuu dhulka korkiisa ka helo, ama kusoo baxa marka uu afkiisa dhulka ku baadha ayuu iska midho-midhaystaa. Ugumay iman foof badan oo ay ka dhergaan, sidaa darteed, shimbir walba in uu cuno ku fulin helo ayuu dadaal weyn u galay. - Somali-Voa: Dowladda KMG ee Soomaaliya iyo Dawlada Somaliland ayaa maanta gaadhay heshiis kaddib markii la soo afjaray wadahadal duleedka London uga socday ergooyin ka kala socday dowladda iyo Somaliland. War-Murtiyeed ka kooban 8 qodob ayaa laga soo saaray gaba-gabadii wadahadahaasi oo muddo laba cisho ah ka socday duleedka London, waxaana ka mid ahaa qodobada ay gaadheen labada dhinac. 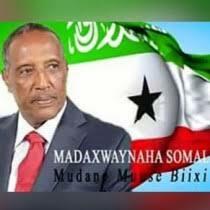 1: In wadahadallo ay sii socdaan oo u dhaxeeya DKMG (ama ciddii baddasha) iyo Somaliland iyadoo la tixraacayo shirarkii magaalooyinka London iyo Istanbul. 2: In la qaato hannaan mideysan oo ka hortagaya wax alle wixii caqabad ku noqon kara in labada dhinca ay wadahadalkooda sii wataan. 3: Inay labada dhinac ka go’an tahay sii socoshada wadahadalka iyadoo labada madaxweyne loogu baaqayo inay sida ugu dhaqsiyaha badan u kulmaan si ay dib ugu eegaan horumarka wadahadallada. - Two days of the first-ever formal talks between Somalia and the breakaway region of Somaliland ended near London Thursday. Both sides agreed that the talks should continue. Somali Interior Minister Abdisamad Moalim Mohamud told VOA that both sides agreed to cooperate in the fight against terrorism, piracy, illegal fishing, and dumping toxic wastes. He said they also agreed to avoid anything that will undermine the talks. In his comments to VOA, Somaliland Foreign Minister Mohamed Abdillahi Omar said the two days of meetings were constructive. He said they created the framework for future talks on issues that matter to both sides. Britain and the European Union organized the meetings as part of their efforts to help Somalia fight terrorism. Somalia is struggling to form a stable government while it fights off efforts from al-Shabab militants to turn Somalia into a conservative Islamic state. Somaliland broke away from Somalia when the last firm Somali government fell in 1991. But no country or world body recognizes an independent Somaliland. Somaliland Iyo Somalia Oo 8-Qodob Ku Heshiiyay! - Shirkii labada cisho ka socday guriga 'Chevering House' ee ku yaala duleedka London ee ay ku wada hadlayeen ergooyin ka kala socday labada dal ee kala ah jamhuuriyada diimuqaadiga ah ee Somaliland iyo Somalia ayaa galabta si rasmi ah loo soo gebo-gabeeyay. Waxaana shirkaasi laga soo saaray bayaan ka kooban 8 qodob oo la xidhiidha iskaashiga ay labadda dal wada yeelan doonaan mustaqbalka. 1. In ay Somaliland iyo Somalia iska kaashadaan dhinacyadda Nabad-gelyadda, la dagaalanka Budhcad-badeeda, argagixisadda, kalluumaysiga sharci darradda ah. 2. In nabad lagu hagaajiyo isku socodka xuduudaha labada dal ay yeelan doonaan mustaqabalka. Qodobadda kale ee baaqa shirkan laga soo saaray waxa ka mid ahaa. - Noobiyadda xeebta badda ku taalaa waa agab aan laga maarmin oo haga gaadiidka badda. Marka hore. Iftiinkeeda ayaa xeebta badda ka duwa maraakiibta iyo doonyaha. Marka labaadan, iftiinku tilmaamo kala duwan, oo sida gaadiidka berriga oo kale kala haga kuwa badda, ayuu u diraa gaadiidka xeebta ag maraya ama doonaya in uu dekedda noobiyad ku taalo ku soo xidho. Waxa dhacday markab minwaar ah oo ciidanka baddu leeyahay in uu xeebta ku soo dhawaaday. Noobiyaddii ayaa tilmaan iftiina, oo sheegaysa halka ay ku taalo iyo inta uu minwaarku u jiro, u dirtay. Naakhuudihii minawaarka ayaa tilmaan u celiyay oo ku yidhi, “Waad mahadsantahaye, iga baydh.” Noobiyaddii ayaa u celisay, “Adoo mudan, adigu baydh”. “Minwaar baan ahay oo xoog baan u socdaaya baydh,” ayuu u celiyay naakuudii. “Waxan ku idhi badydhi maayee adigu baydh,” ayay ku tidhi noobiyaddi. Naakhuudihii ayaa intu xanaaqay u celiay, “Waxan ahay minwaar ciidanka badda ah, oo diyaarado saaranyihiin, oo hub culis saaranyahay, oo ciidan weyn saaranyahay, oo xoog u soconaya. Markaa, ugu dambaystii, amar ayaan kusiinayaa waa inaad baydhaa!” Noobiyaddii ayaa u celisay, “Waxan ahay noobiyaddii, oo xeebtii ku taala, oo ann dhaqaaqayn, oo shaqaale yari maamulayo, ee amar kama damabysa ayaanu ku siinaynaa waa inaad baydhaa!” Ilayn dani seeto weeyee, noobiyaddii yarayd ma baydhin; minwaarkii xoog weynaa ayaa degdeg u baydhay! - The Coca-Cola Co. and The Coca-Cola Africa Foundation will give $3.5 million to the United States Water Partnership (USWP) to boost access to sustainable water in Democratic Republic of the Congo, Ethiopia, Madagascar, Mozambique and Somaliland. The money will support USWP operations and water access programs through the Replenish Africa Initiative, which itself is backed by a six-year, $30 million dollar commitment from Atlanta-based Coca-Cola (NYSE: KO). In 2012, $3 million will go to a variety of sustainable water access activities ranging from expanding water access in informal urban settlements to providing water access in hospitals and promoting multiple uses of water that empower women. Coca-Cola also will give $500,000 in operational support to the USWP to bring additional resources to African countries characterized as high-need for clean water and sanitation. 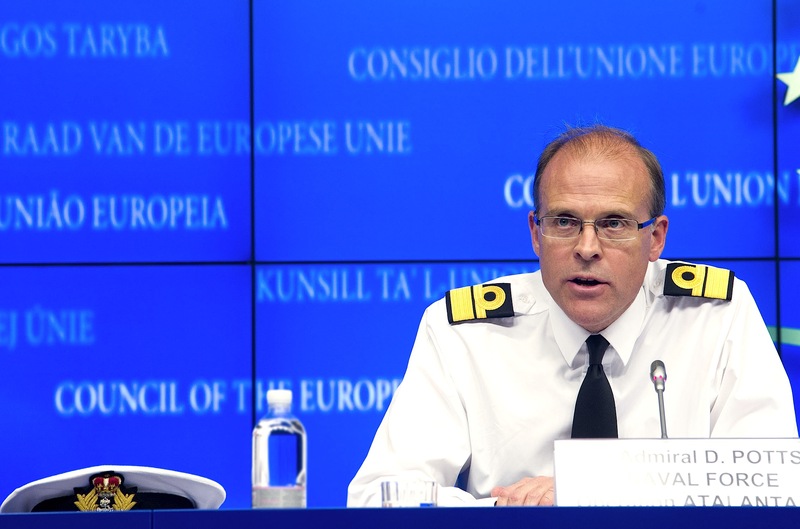 BRUSSELS - The EU special envoy for Somalia is looking into a fresh report that pirates are in business with Italian gangsters on toxic waste. The Paris-based criminologist, Michel Koutouzis, who carries out investigations for the UN and for EU institutions, described the problem in a new book - Crime, Trafficking and Networks - published in May. He said organised crime groups in south Italy - the Camorra, 'Ndranghetta and La Sacra Corona Unita - supply Somalian warlords with black market small arms from the Western Balkans in return for permission to dump waste. "Tonnes of waste are discharged every year off the coasts of Somalia, Sudan and Eritrea under the noses of countless warships which control sea freight in the Read Sea and the Gulf of Aden," he explained. - The people and the democratically elected government of Somaliland Republic are grateful to the International community and especially to the United Kingdom for hosting and spearheading the Somaliland-Somalia dialogue on their future relations. Somaliland values the great contributions being made by the Norwegian government to this dialogue. We hope this London discussion will pave the way for a permanent peace and cooperation between the two neighborly nations and to the greater Horn of Africa region. Somalia’s insistence in claiming that Somaliland is a part and a parcel of its territory is solely based on covet and on nothing else. There were no legal bases of a union between Somaliland and Somalia to start with, because there was no act of union signed between the two entities. The people of Somaliland have overwhelmingly voted against the 1962 constitution, which created the annexation of Somaliland through an illegal Somalia’s presidential decree. On the other hand, Somaliland does not claim a Somalia territory since the borders of the two countries are based on the well demarcated Anglo-Italian borders of the colonial era. Both the African Union and its predecessor, the Organisation of African Union strongly insist in their charters that the colonial borders of African countries should not be altered. Somaliland’s territorial borders are fully in line with the OAU and the African Union charters. Representatives from the Somali Transitional Government and the breakaway region of Somaliland began two days of talks outside London Wednesday on a wide range of issues, including the future of the self-declared republic. Ten officials — five from each side — are taking part in the closed-door discussions organized by Britain and the European Union. The two sides agreed to meet during an international conference on Somalia's future in London in February. During the conference, world leaders pledged new help to tackle terrorism and piracy in the troubled East African country, but insisted that Somalia's government must push ahead with forming a stable government. Reports say that if an agreement is reached, a meeting between Somali President Sharif Sheikh Ahmed and his Somaliland counterpart, Ahmed Siilanyo, will take place sometime next week in Dubai. Somalia has endured two decades of civil war and poverty since the fall of its last stable government in 1991. More recently, it has struggled to deal with a devastating famine, as well as pirates and al-Shabab, a militant group seen as a threat to regional security. Wafdiga Somaliland Ee Wada-hadalka La Galaya Somalia Oo Shirka Hortii La Waraystay! - Waxaa si rasmi ah maanta uga furmay dalka Ingiriiska gaar ahaan-na deegaanka Kent ee duleedka London wadah-adaladii loo balansanaa ee u dhexeeyay DKMG iyo jamhuuriyada diimuqraadiga ah ee Somaliland sida ay idaacada Somali-VOA ka soo xigatay Mas’uul ka tirsan wasaaradda arimaha dibadda ee dalkan Britain. Kulamaddan ayaa ka soconaya dhismaha qadiimiga ah ee Chevening House oo kamid ah goobaha lagu qabtay kulamadda siyaasadeed ee gaarka ah. - It has been 52 years from the independence of Somaliland on 26th June 1960. Somaliland people ended 73 years of British rule in peaceful manner, unlike many African countries who gained bloodshed sovereignty. At the start of British rule, the Somalilanders accepted British into Somaliland with conditions including that British must leave the country anytime asked. Secretary of State for the Colonies (1959-1961) Iain Macleod announced independence of Somaliland after extensive meetings with Somaliland politicians including Statesman Mohamed H. I. Egal in London on constitution and independence related topics. Mr. Macleod underscored that people of Somaliland demanded the independence, and based on earlier agreements, Her Majesty, the Queen decided to fulfill the wish of the people of Somaliland to unite with Italian Somaliland, which ended UN Trusteeship on 1st July 1960. Somaliland, Nigeria and British Cameroon become independent same period of time. Britain's handover of Reserve Area (currently part of 5th Region of Ethiopia) to Ethiopian Emperor Haile Selassie accelerated the end of 80 years of British protectorate. Such handover triggered anger between Somalilanders and all people wore white sheet on their forehead, as an expression of disappointment. - The British government is set to inaugurate a preparatory meeting between feuding neighbours Somaliland and Somalia later today in London. The EU nation hopes this two-day direct deliberation will find enough common ground to press on with future talks so as to ensure the two clarified their relations. The two parties have not had any face-to-face dialogue for the past two decades after a temporary union collapsed in 1991. The Somaliland party says that they want a similar deal to Sudan and South Sudan where the two sides agreed to their split and statehood. They argue that their country existed twenty years without them and there was no need for them to go back to conflict and marginalization. A referendum held in Somaliland in 2001 was almost unanimous, over 97% opted for independence in the ballot box. Hargeisa insists that it is willing to conduct another one should the international community request one. Hargeisa said it was ready to shape talks for cooperation with its southern neighbour should they accept the fact that union is long gone. 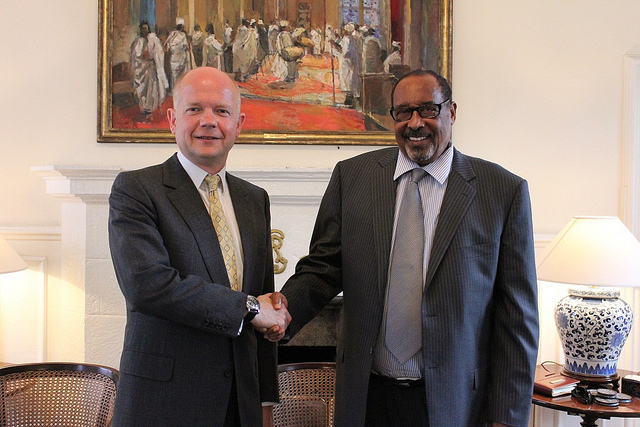 I would like to take the opportunity of my imminent arrival in the United Kingdom to set out the views of the Government of Somaliland on the end of the transitional period in Somalia on 20 August, and to foreshadow my Government’s approach to the upcoming talks between Somaliland and the TFG. Somaliland has a strong interest in seeing stability re-established in our neighbour, Somalia. We therefore welcome the positive developments which have taken place there in recent months, including progress towards bringing the transition period to an end. At the same time, we pay tribute to the sacrifices made by AMISOM troops and to the important support of the international community, which have helped to bring this about. 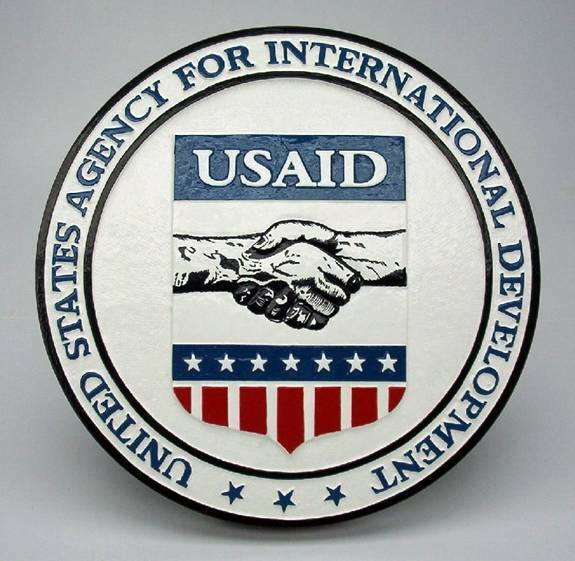 USAID-Ka Oo Malaayiin Doolar Ku Maalgalinaya Ganacsato Reer Somaliland ah! - Dawlada Maraykanka ayaa gargaar toos ah bilowday inay siiso dadka meheradaha yaryar ka shaqaysta ee reer Somaliland, iyada oo hayadeeda la yidhaa USAID ee shaqadeedu ay tahay horumarinta iyo gargaarka dadka u baahan badhi-taageerka dhaqaale u sii marinaysa. USAID ayaa dhawaan ka bilowday Hargaysa (Somaliland) tartan loo galayo maalgalin lagu siinayo cidii ku guulaysata $1,000000 (Hal Milyan oo doolarka Maraykanka ah) oo cadaan ah (cash). Arintan oo ah tii u horaysay ee nooceeda ah ee laga hirgaliyo dalka Somaliland oo tijaabo ah, ayaa waxa tartan u galay iyaga oo soo banhigaya fekredahooda najaxi kara ee ay u baahan yihiin in loo maalgaliyo dad ka kooban 292 xubnood, waxana gabogabadii ku guulaystay tartankaa fursada wayn ee maal-galinta iyo caawimada wada jirta ah 13 xubnood oo ka mid ah dadkii tartanka galay. Lacagta cadaanka ah ee la siinayaa xubnahaa ku guulaystay waxay haatan dhan tahay $ 1 million (hal milyan oo doolar oo lacagta Maraykanka ah), qaybaaha kale ee dabo socdaana waxa ay ku xidhan yihiin hadba sida ay mashruucyadani noqdaan! Faahfaahin ku saabsan arintaa waxa soo diyaarisay idaacada Maraykanku leeyahay ee Somali-Voa. - Normally we watch the ‘hard talk’ with Stephen Sackur on the BBC in London. But, suddenly, Sunday night 10th June of this year I have seen the Somaliland National TV, the same program. The presenter was a heavy weight and well known journalist and broadcaster called Mr. Ahmed Xas san Awke. He had an interview with a new political party leader called Mr. Ismail Aden Osman. Mr. Awke was handling the show beautifully and the leader was responding accordingly and in a right and responsible manner. The debate went to the climax and Mr. Ismail hit the nail on the head by uttering the words” Oh this is hard talk managed by an experienced and talented journalist and having pleasure with you.” The hard talk ended so quick because it was very interesting and filled with humor and politics. Now, Mr. Awke was not born that night, but he was a very famous and popular journalist through out the region of the horn of Africa.